The City of Wanneroo has engaged technical consultants to assess options for recoding housing density in the coastal suburb of Quinns Rocks. An aerial photograph of Old Quinns Rocks. 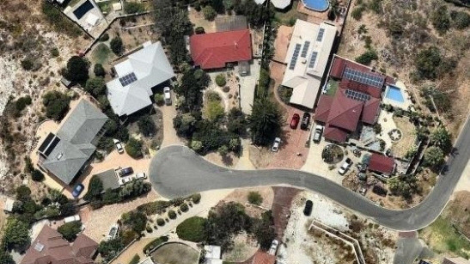 Through the Old Quinns Rocks Landform and Recoding Study, the City of Wanneroo hopes to allow density to occur while protecting the heritage character and topography of the area. In 2008, the City considered an amendment to the residential density coding of various properties in old Quinns Rocks, including those in the vicinity of Ocean Drive and closest to the coast. The City’s Planning and Sustainability Director Mark Dickson said this was not progressed at the time due to the lack of deep sewer in the area. “Today the area is equipped with deep sewer infrastructure but many other factors must also be taken into consideration,” Mr Dickson said. “For example, we need to examine how infill development may impact on the sense of place and special character in Quinns Rocks, its mature vegetation, streetscapes, topography and coastal erosion,” he said. State Planning Policy 2 – Coastal Planning stipulates that a precautionary approach should be followed by local governments when considering development and subdivision proposals for foreshore properties affected by coastal erosion. Coastal Erosion issues are addressed in the City’s Coastal Hazard Risk Management and Adaptation Plan (CHRMAP) which was completed in August 2018. Mr Dickson said the Old Quinns Rocks Landform and Recoding Study will include substantial community engagement including information sessions and the establishment of a community reference group. A community drop-in session will be held on Wednesday 17 April 2019 from 5pm to 7pm at the Quinns Mindarie Community Centre, 1 Quinns Road, Quinns Rocks when people can nominate representatives to sit on the community reference group. “I encourage members of the Quinns community to come along and find out more,” Mr Dickson said.